This summit, which started in 2015, is currently the biggest ever business strategy summit in the country, targeting Chairmen, Managing Directors, Directors, CEOs, COOs, CFOs and General Managers of various industries. Held on 26 – 27 July 2016 at the Mount Lavinia Hotel, this summit featured Martin Roll as one of the four global strategy gurus invited. 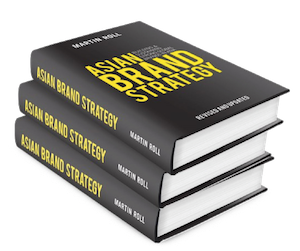 Martin Roll spoke about Asian Brand Strategy, amongst other strategic management topics. The 2-day event allowed executives to enhance their understanding on present day strategy, future strategy, brand valuation, and value and supply chain management, giving organizational leadership the opportunity to hear insights on the ‘Right Strategy’. When an organization is able to execute the best fit strategy, it will not only bring in long term success but also create new paradigms and help maintain an organisation’s growth and sustenance. This article appeared in The Sunday Times Sri Lanka on June 2016 in English.